Mr. Chairman, Ranking Member Pomeroy, and Members of the Subcommittee, I appreciate the opportunity to appear before you today to discuss the IRS’ progress regarding the use of collection agencies and my office’s work in assessing this progress. The use of collection agencies to assist in the collection of federal tax debt is not a new concept. In 1996 the IRS piloted the use of collection agencies, and after a detailed internal evaluation, concluded that their use was not economically viable. The IRS’ current approach, however, differs significantly from the prior methodology. Most importantly, in 1996 the collection companies were compensated with monies from the IRS’ appropriated funds. In contrast, as part of its 2004 budget submission, the IRS has requested authority to fund the use of collection companies directly from the revenues collected by those companies. The IRS plans to eventually place 2.6 million cases annually with collection companies. Treasury projects that this initiative will produce revenue of as much as $1 billion through 2013. While this amount is significant, it represents a small portion of the $280 billion in accounts receivable that were due at the end of FY 2002. In a recent audit report, TIGTA identified that the IRS’ preliminary planning efforts for using collection companies were extensive. The IRS carefully evaluated similar programs at other federal and state government entities, such as the U.S. Department of Education and the State of Virginia, contacted subject matter experts regarding industry best practices, issued a draft Request for Quotation on February 14, 2003, and subsequently held an informational conference to solicit feedback and answer questions from potential contractors regarding the IRS’ requirements. Additional focus on the development of management information to improve the IRS’ ability to oversee the program. Better development of detailed requirements to help ensure taxpayer rights and privacy are protected. 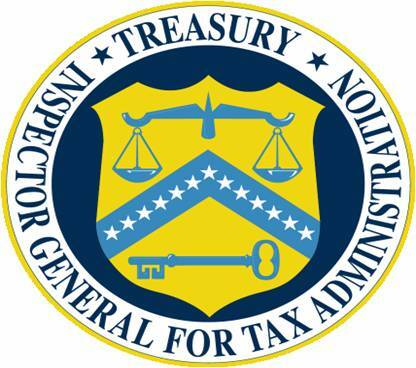 A more measured initial release of cases to collection companies to provide IRS more data to determine staffing needed to effectively support this initiative. IRS management agreed with all of these recommendations and indicated that they have already implemented corrective actions to address the findings in our report. One issue warranting future attention, which is critical to the success of the program, is the process of selecting which cases are given to the contractors. In the 1996 IRS pilot, most of the cases delivered to the collection agencies were small dollar delinquencies normally collected by the IRS at a minimal cost. However, the collection case selection process has changed over time at the IRS. In fact, the IRS has recently changed the methods used to determine which cases it works internally. These changes will affect the types of cases that the contractors receive, but the IRS has not yet officially finalized the method for selecting cases for this new initiative. · Employees at one lockbox bank lost or destroyed more than 70,000 taxpayer remittances worth more than $1.2 billion, and another 71 investigations identified 14 instances of thefts of receipts valued at close to $2 million. · An IRS employee ensured certain companies received contracts in exchange for illegal payments. · A contractor was not in compliance with the terms of its contract resulting in increased security risk at some IRS locations. The IRS’ proposal to contract out the collection of delinquent accounts to private collection companies has the potential to recover a significant amount of IRS accounts receivable. Nonetheless, we will want to watch the effort closely to ensure the dual risks of protecting taxpayer rights and effective contract administration are addressed. This concludes my statement.